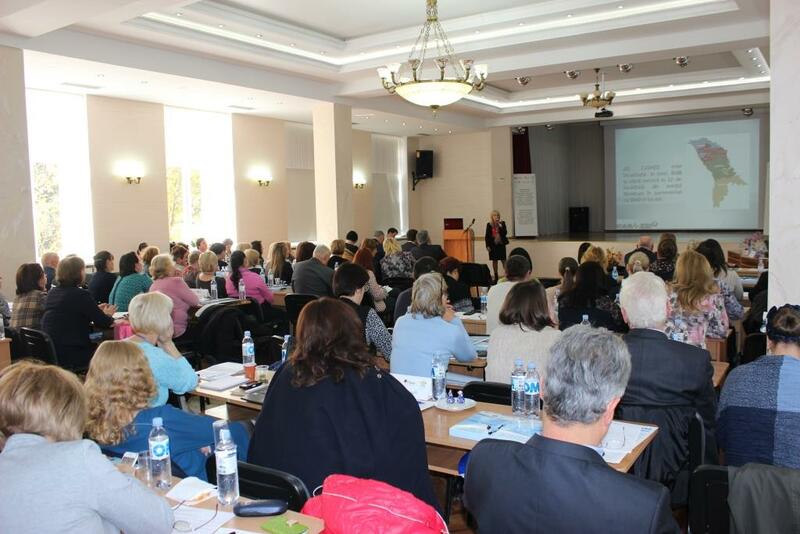 NGO “CASMED” in partnership with the NGO „HOMECARE“ from Chisinau organized during 28-29th of October the National Conference having for topic “The regulation, organization and functioning of the national system of community care for elderly. The Home Care service – integrated model of primary socio-medical services”. The conference brought together international experts for Caritas Romania, representatives from the relevant ministries, district Directions of social assistance, donors representatives and Moldovan NGOs active in the field of community care. The agenda of the conference included topics related to the existing models of integrated care at home, the role of LPAs in co-financing of community services, general legal framework which ensures the organization and functioning of medical care at home, the public-private partnerships and so on. The participants in the conference had the possibility to work in 3 workshops, and the ideas and suggestions exposed therein will serve as a basis for formulating proposals to the relevant ministries in order to improve the socio-medical sector. The conference was hosted by the National College of Medicine and Pharmacy “Raisa Pacalo” from Chisinau, which offered the participants also a moment of delight with elements of traditional folklore.